Chef Gorji says he is seeing an increased interest in tart and tangy flavors at his restaurant Canary By Gorji and in questions from people about recipes using his Gorji Gourmet Foods® product line. In fact, he has launched a new sauce with heat and tang. The new addition to Gorji Gourmet Foods is Arrabiata Diavolo, and it is devilishly tasty! 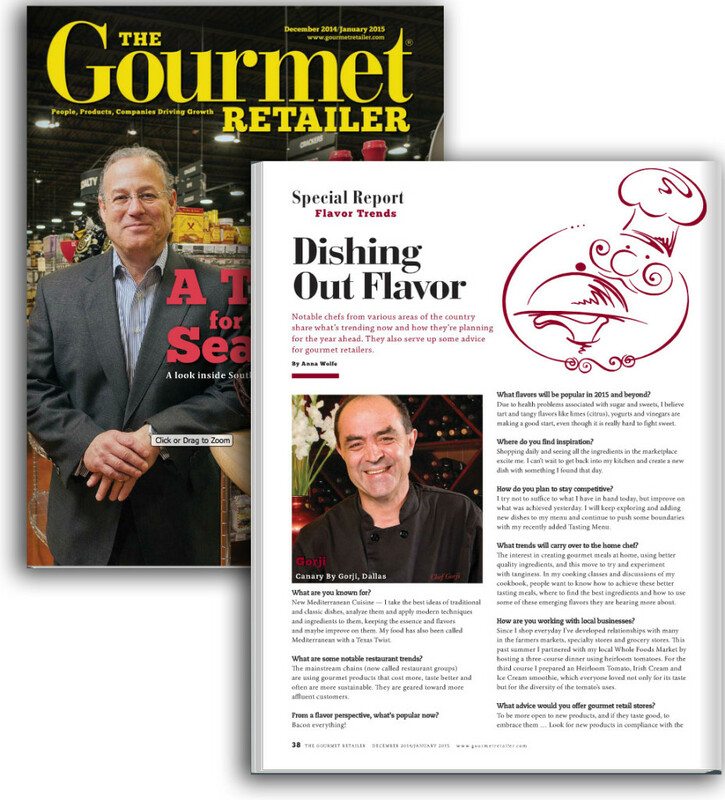 No Replies to "Chef Gorji Talks 2015 Flavor Trends With Gourmet Retailer Magazine"